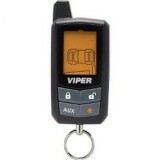 1st call car security We are a approved Viper dealer with over 30 years fitting Experience and we can fit this system in south Yorkshire at one of our premises, your home or place of work. To see if we have a fitter in your area please JUST CALL US on 07786194655 or 01142349927 &nb..
1st call car security We are a approved Viper dealer with over 30 years fitting Experience and we can fit this system in south Yorkshire at one of our premises, your home or place of work. To see if we have a fitter in your area please JUST CALL US on 07786194655 or 01142349927 ..